The New Brunswick Low-Income Seniors' Benefit $400.00 rebate. ​What to do if you live in Sackville, NB to apply for this program. 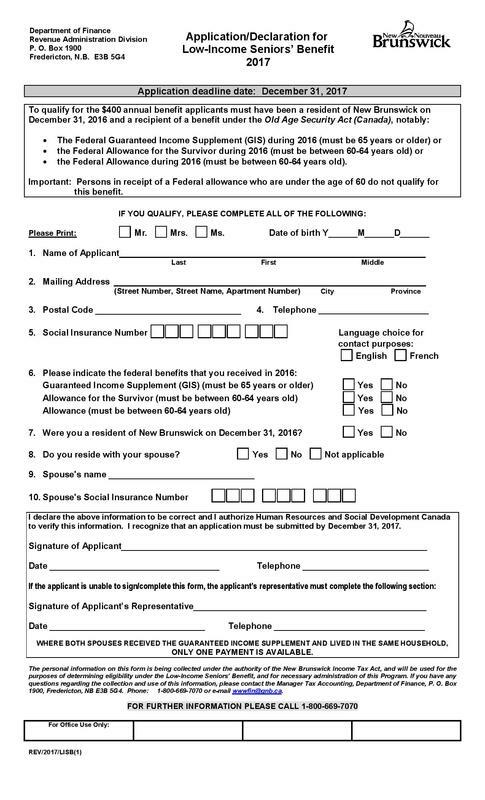 The forms can be picked up at Service N.B. ​now the Sackville United Church. ​Forums best bet to get most recent forms. ​Would call to inquire to see in new form for 2018 !! !